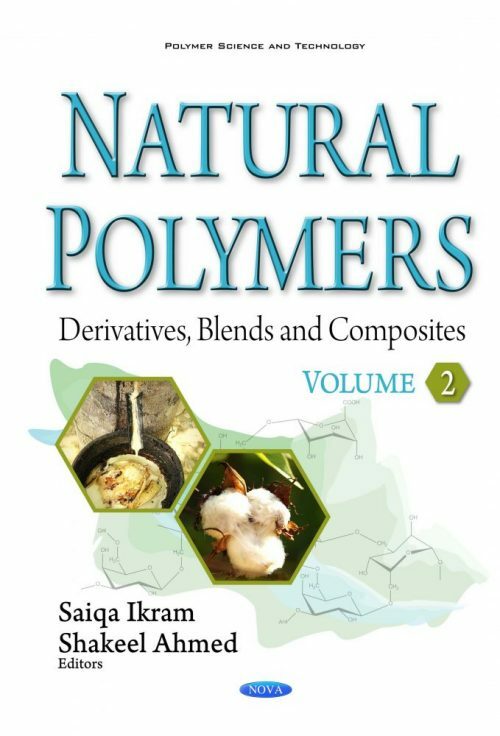 The book Natural Polymers: Derivatives, Blends and Composites Volume II is an edited volume comprised of fifteen chapters from different experts working in the area of natural polymers. Natural polymers are finding applications in fields of packaging, medicine, pharmaceutics, biomedicine, textiles and many others. This book gives detailed insight into all aspects of natural polymers to the latest trends in the development of new products. This book will hopefully be supportive to scientists, researchers, academicians and students in different disciplines. 1. Describes various derivatives of natural polymers (i.e. composites, nanoparticles, hydrogels, etc.). 2. Self-contained chapters on starch, chitosan, alginate, bovine serum albumin, among others.